Throughout the years, the technological advancements in the field of dentistry have allowed for the many ways to effectively straighten teeth. Of course, we are talking about Invisalign here, the newest method to achieve a set of perfectly aligned teeth in Sydney. If you’ve decided to opt for Invisalign, you’re now likely down to the most crucial question concerning this orthodontic treatment: how do I take care of my Invisalign aligners? The good thing, we’ve developed an article to answer your question. 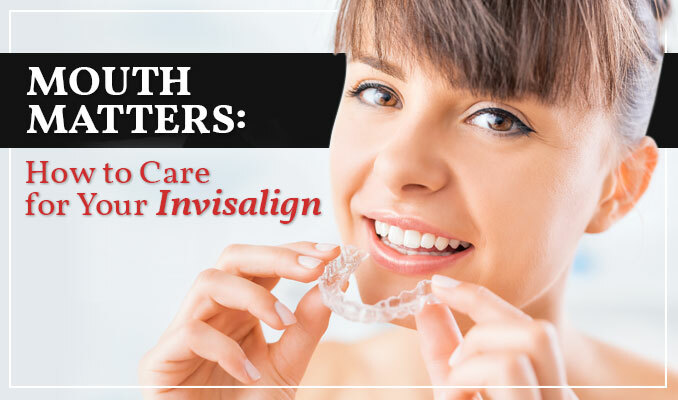 Like braces, Invisalign is a teeth straightening treatment that also addresses crowded teeth, only it uses a series of clear, removable trays in lieu of the typical brackets and wires. Although caring for your teeth is easier with this method, proper upkeep and optimal oral hygiene is still necessary to make the most out of your treatment. So, to help you out, we made this guide that shares some essential steps on how to properly care for your Invisalign retainers. One of the many benefits of Invisalign is that you can remove them when eating or drinking so you don’t suffer from the restrictions conventional metal braces typically have. However, you’ll have to brush your teeth after each meal and before re-wearing your aligners. Moreover, you’ll also need to floss daily before bed. Otherwise, food residue will stay on your teeth, contributing to plaque build-up and tooth decay – you don’t want yellow straight teeth. Apart from your teeth, your Invisalign also needs regular brushing as it is exposed to the same bacteria that your mouth has. However, you need to avoid cleaning it with harsh chemicals that can cause wearing. If you prefer to brush it at the same time with your teeth, be sure to brush it with non-abrasive toothpaste and soft-bristled toothbrush. Once you have brushed and rinsed your tray, inspect it for any sign of calcium build up. You might notice a cloudy white film that didn’t come off after brushing. You can soak it with your preferred solution before placing it back in your mouth. When removing your aligners, rinse them in warm water and store in their case that is provided by your dentist. It will not only keep your aligners from getting lost but will also keep them from being damaged and exposed to bacteria. Plus, make sure they’re not placed somewhere easily accessible by children or pets. Rinse them again before re-wearing. To wrap things up, here is a summary of the dos and don’ts to help keep your aligners in their best possible condition. • Rinse aligners after removing them. • Soak aligners with cleaning solutions to keep them clear and sanitized. • Brush and floss your teeth before re-wearing aligners. • Brush aligners gently with a soft toothbrush. • Eat and drink while wearing Invisalign. Water is an exception. • Leave aligners unprotected when not in use. • Use abrasive toothpaste to clean aligners. Classic Smiles offers Invisalign treatments in Sydney that are custom-crafted for your mouth to provide you with top quality orthodontic care. Our highly trained dentists ensure that our treatment plans will help you achieve the best possible results with Invisalign. Book a free consultation today!